The Revenant is just a few weeks old, and already its cleaning up at awards shows. The film just took home Golden Globe Awards for Best Director, and Best Picture and Best Actor in the Drama category. 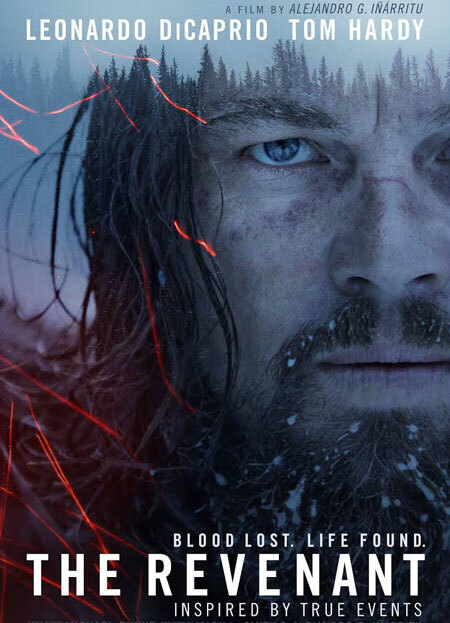 The Revenant is just a few weeks old, and already it’s cleaning up at awards shows. The film just took home Golden Globe Awards for Best Director, and Best Picture and Best Actor in the Drama category. Leonard DiCaprio is being praised for his performance, and this could be the film for which he finally takes home the Oscar for Best Actor at the 88th Academy Awards. Leonardo DiCaprio and Tom Hardy star in an enthralling revenge western from the director of Birdman. Fur trapper Hugh Glass (Leonardo DiCaprio) is leading a hunting party in 1820s South Dakota when he's attacked and viciously mauled by a bear. Rather than tending to his wounds, the frontiersman's traitorous companions, led by John Fitzgerald (Tom Hardy), decide to abandon him. They kill his half-Native American son and leave Glass to perish in a shallow grave. But he survives. Now he must brave warring tribes, a savage environment and a ferociously harsh winter on a 120-mile trek to take his revenge. Alejandro Gonzalez Inarritu's raw and gritty follow-up to the Oscar-winning Birdman is based on an extraordinary true story of betrayal, survival and ultimate redemption. Its incredible authenticity stems from Inarritu's determination to film Glass's gruelling ordeal using natural light in genuinely unforgiving locations. The superb supporting cast includes Will Poulter and Domhnall Gleeson.